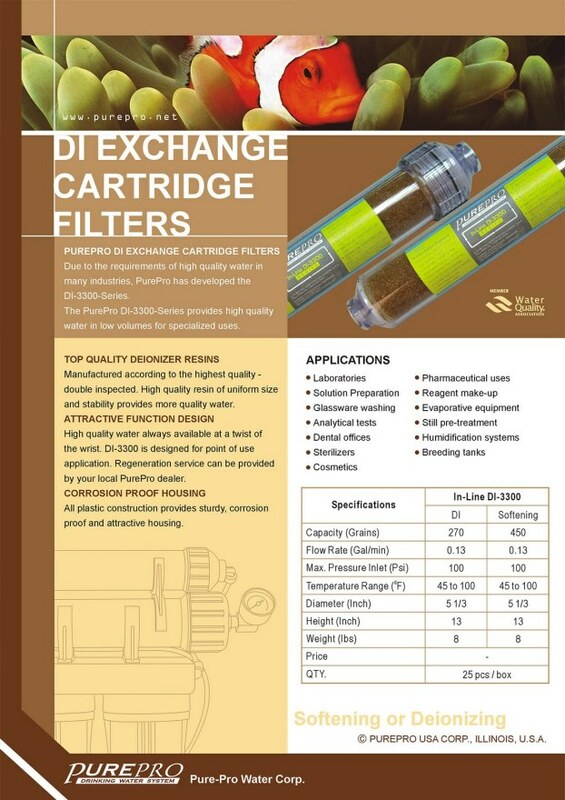 Produce 99.99% pure water by simply attaching this convenient deionization filter with RO unit. 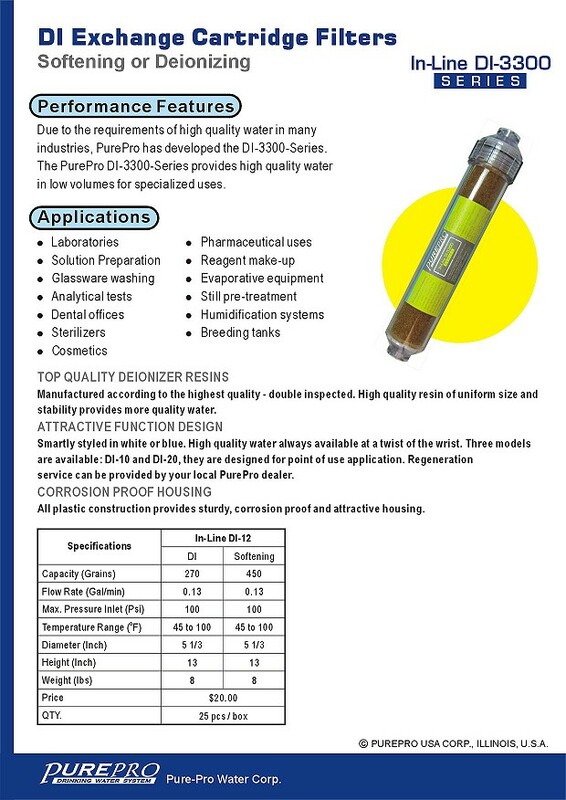 Convenient post RO filtration DI unit (RO/DI unit) provides crucial supplemental filtration to remove most impurities for pure polished product water. Excellent in areas with hard water. Produce 99.99% pure water. 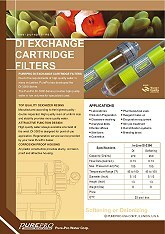 It will give you 0 ppm TDS, Conductivity attainable less than 0.1uS/cm.